This product, designed and developed professionally for specific population, is a portable Health-care Hair Growth Comb with multi-function. It is simple, easy to operate, and with significant effect. It is the truly perfect combination with tonics, conditioners and so on; it also has the magic effect of degreasing, stopping hair loss, nurturing new hair and nursing hair. Stop balding in its tracks – reactive inactive hair cells for healthier, fuller hair. Positive ion leads out and excludes the harmful substence from the body. Negative ion leads in the nutrition of tonic. Ball is for massage and keeps a continuous uniform fluid. Built-in lithium battery, rechargeable with USB cord, for home use or travel use. 1)Massage your head ,accelerate blood circulation of scalp and promote metabolism. 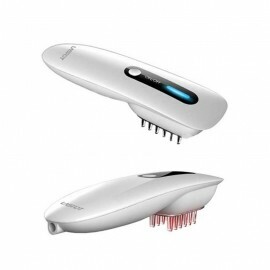 3)Promote scalp health and improve your hair quality. The device will turn off automatically after it works for 15 minutes continuously. 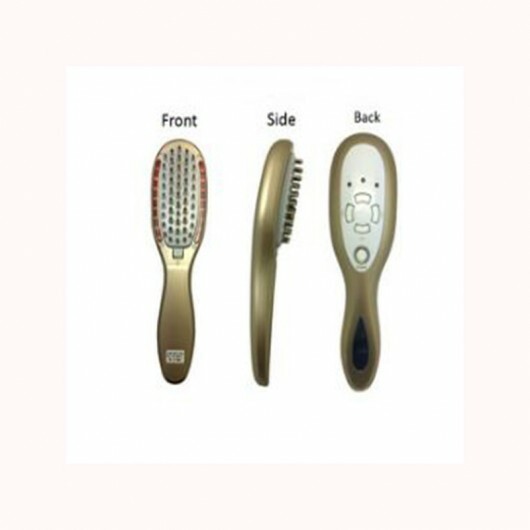 Gliding device over scalp 5-10 minutes per time, 5-7 times per week, after 3 week’s usage,user can see good result on preventing hair loss, hair care, stimulating hair growth, getting healthy luxurious hair and oil-control. 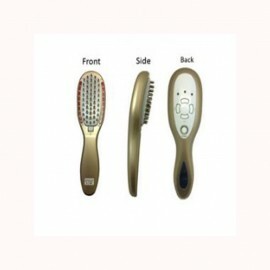 Progressively, hair become more healthy, luxurious, thick and strong.